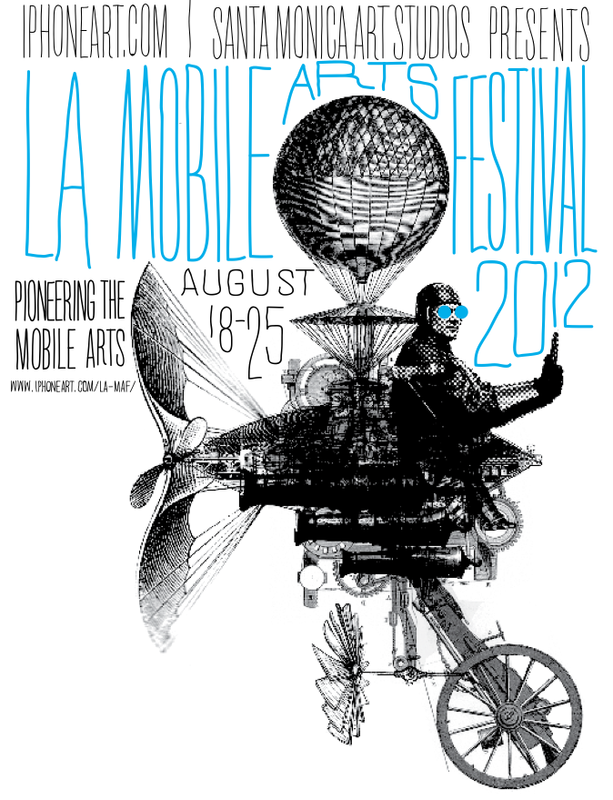 Tonight is the launch the inaugural LA Mobile Arts Festival, which has developed into a dynamic hybrid—art gala, high tech extravaganza, and celebration of the mobile art movement around the world. I'm very excited to see how this emerging art form, now called iPhoneography (taking pictures, videos and creating art with and around the iPhone) has taken off since I first noticed the phenomenon and started blogging about it here and here, the latter post about how Jorge Colombo used an iPhone app to create a New Yorker cover. But there is more than just taking pictures and videos with the iPhone to what I could include in this creative phenomenon, it's also the cover art and related products in the iPhone eco-system that I blogged about here. With Instagram being sold to Facebook for $1B, no one can deny that the iPhone is at the center of a whole new digital social art movement, and the cool thing is that even though it now is finding it's way into the galleries, most iPhoneography is created and enjoyed by everyday people who do not consider themselves artists or art-lovers. It's just life! What Does TED and Aliens Have in Common? A lot it turns out. Actor Guy Pearce plays cybernetics pioneer Peter Weyland in this imagined TED Talk from the year 2023. 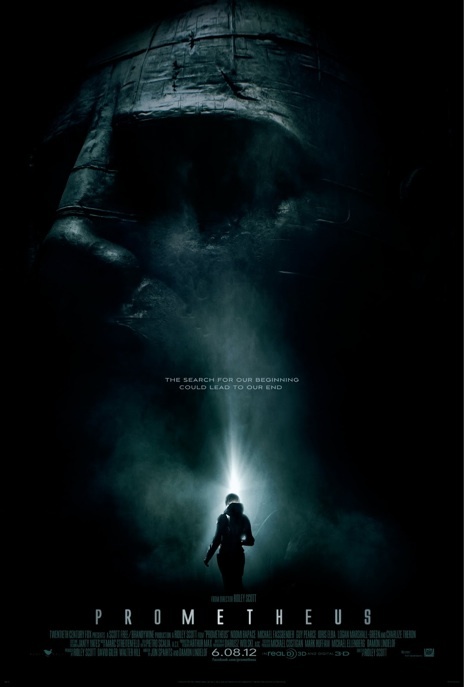 The video is a viral promotion for the upcoming Alien prequel Prometheus, directed by Ridley Scott, trailer below (via Laughing Squid). This is smart branding for both TED and 21st Century Fox of course, as well as smart and entertaining content marketing. I'll get tickets to see this in the movie theater for sure to get the "big" experience, will you? This will be an event movie for sure! The Hyundai Veloster RE:MIX LAB is a festival of art, music, fashion, technology, culture and design taking place in New York, Chicago, Las Vegas, Miami and Los Angeles. Having seen the video above from Art Basel in Miami, I was very excited to go to Re:Mix Lab in LA this past Friday and even brought some influential friends. However, the experience was a disappointment. It was not the fault of Shira Lazar or Jane McGonigal or anyone else on stage but the ad agency involved or whoever produced the concept. It was just poor execution and if I was Hyundai I would not be happy. The ad agencies need to do more than to sell a paper-product, but actually understand what they are doing, or it won't feel authentic. You can't just put a PS3 in the trunk of a car and think that the geeks will will approve, you need to tie it all together in a way that makes sense. The car is actually kinda cool, but this event was just a distraction for any serious car-buyer. 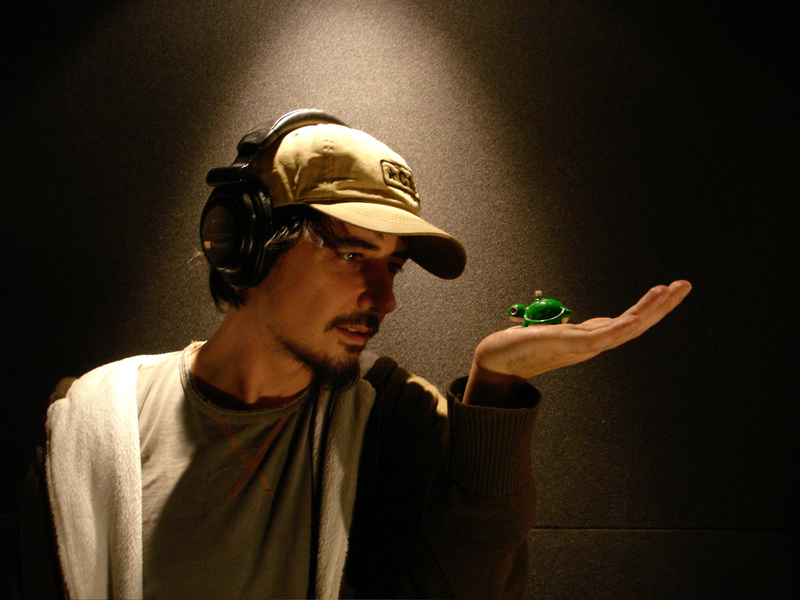 Amon Tobin is an amazing Brazilian musician, composer and producer of electronic music. A true contemporary artist, Tobin has released seven major studio albums since 1996 under the London-based Ninja Tune record label, but also scored movies and video-games. For his latest tour, he has teamed up with Blasthaus, LA-based visual arts shop V Squared Labs, Vita Motus Design, Leviathan and others to create something really unique: A 3D Audion/Visual experience that is so much more than a DJ-set. Check out the video below to see what I'm talking about! Will Shepard Fairey Design the OCCUPATION Movement? LA-based street artist Shepard Fairey has designed the official poster for tonight's OCCUPATION PARTY in NYC's Times Square (above). 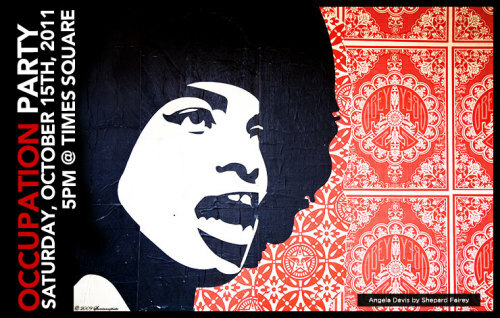 Maybe he will also be the artist who creates an official image for the OCCUPATION movement, which is increasingly gaining popularity across the nation? He certainly has the right credentials. 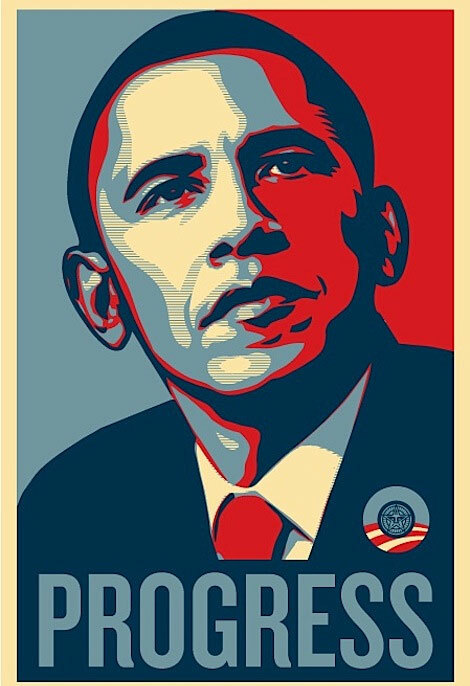 Specialized in "worldwide propaganda delivery," Fairey is perhaps most famous for designing the defining poster for the Obama-campaign, but has a ton of other ironic propaganda poster well worth checking out on his website. Obey! 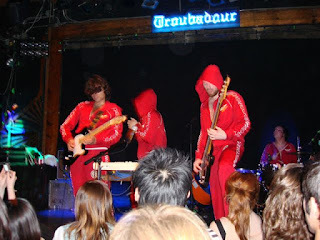 Here's the list of good places: The Echo (its sister venue Spaceland used to be the best when I lived next door in Silver Lake, but it's under new management, so I don't know what the deal is now), Troubadour, Bootleg Theatre and Fais Do-Do (once in a while). Catch neat indie bands like Datarock from Norway (pictured) plus odd entertaining underground music that you won't see anywhere else, such as Gil Mantera embedded below. As a bonus, here's also a list of 10 good hipster bars in Silver Lake worth checking out for a beer before or after the show, personal favs are Red Lion and Cha Cha Lounge, not on the list but also really good are Hyperion Tavern and El Cid. This is Joakim "Jay" Baage's blog about contemporary arts, culture and technology. Artsify puts a special spotlight on projects where brands and organizations are involved in supporting the arts. 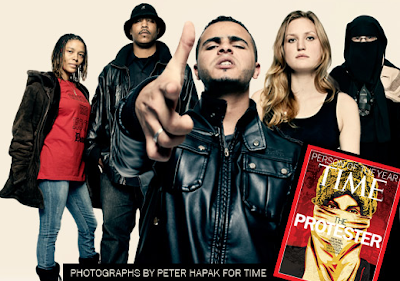 The purpose is to provide entertainment, inspiration and conversation. Joakim Baage 2011. Awesome Inc. theme. Powered by Blogger.